Social media managers spend hours creating and scheduling content for social media pages. But with DrumUp, you can wrap up the daily chore in only a few minutes. 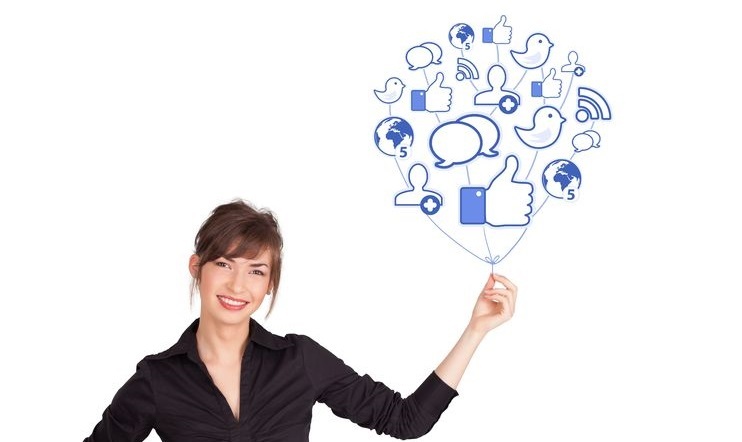 It’s social media content marketing on adrenalin! 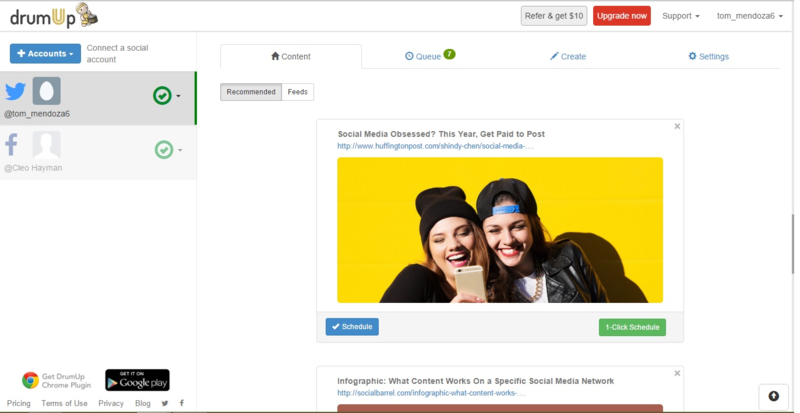 The social media management software makes curating content for channels like Facebook and Twitter super easy – a few minutes daily and you can keep up your social presence like never before. DrumUp’s social media dashboard has a minimalist, uncluttered and intuitive design so that you can get the work done faster. The linear layout of story streams has been designed for easy browsing and sharing. Features like one click schedule and editing also save you precious time. DrumUp generates fresh content recommendations for you daily. Notifications of new content recommendations can be activated both on email and mobile. Options of easy scheduling and customization are also easily accessible on both web and mobile. 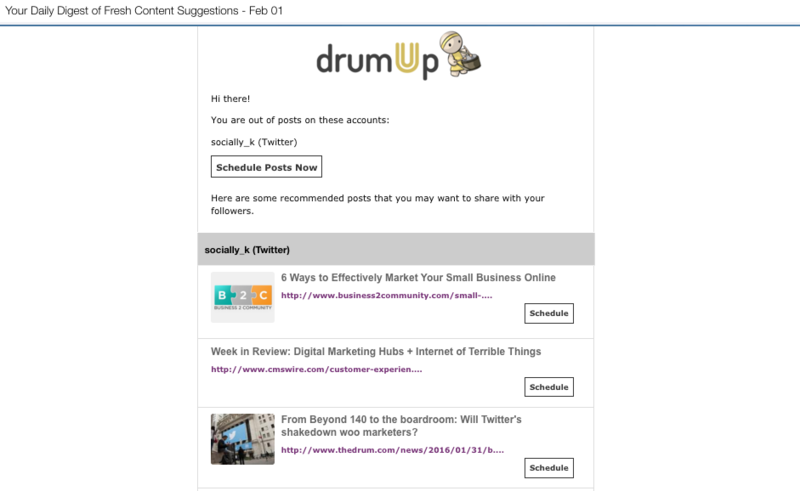 Give your Twitter and Facebook accounts a personal touch by scheduling important announcements or custom posts through DrumUp. 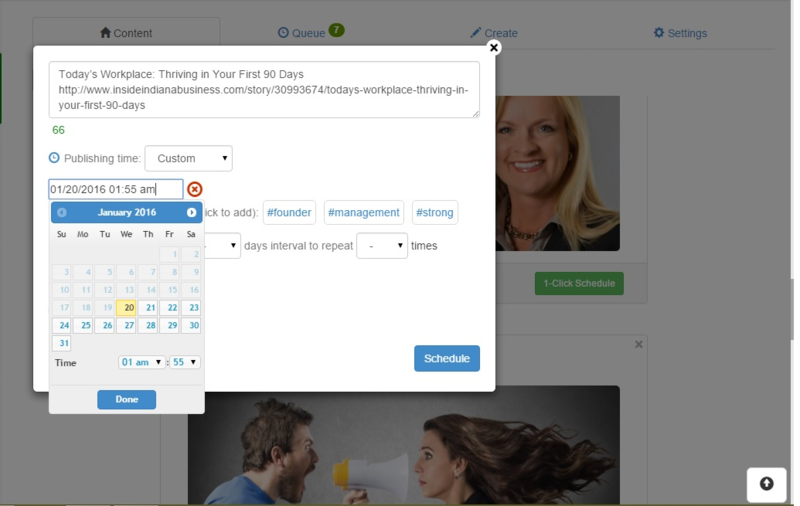 You can schedule your tweets and Facebook posts for a specific time and day for exact targeting or let DrumUp decide the next best schedule for them. DrumUp gives you the flexibility to time your outreach to your social media audience. 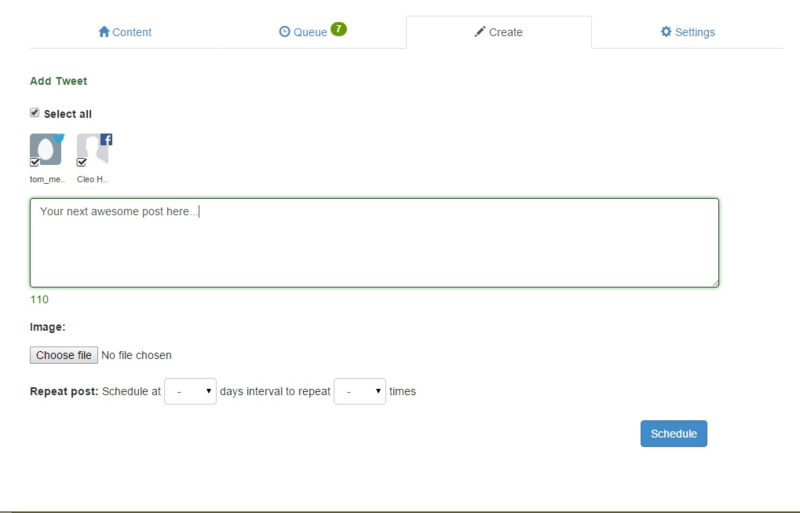 While DrumUp suggests the best times to post the social updates, you can modify/update the publishing to specific time and date of your preference. This can be done both for your content recommendations and custom posts.